Your website is the face of your business. As a digital medium of passing and seeking information, web design is subjected to the ever-changing process. We are now 18 years into the new millennium and we saw what not. 2017 saw many advancements, including the mobile usage taking over desktop browsing. In 2018 we are witnessing mobile functionality in ways we have never seen before. While desktops will continue to remain in use, people are going to look forward to mobile first indexing. 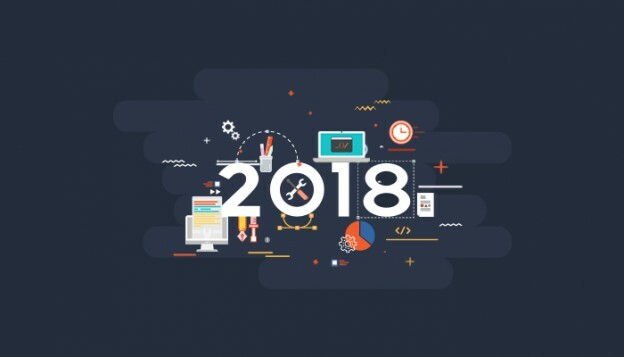 And with this notion, let’s take a look at some of the best web design trends of 2018 that are ready to boggle your mind. Gradients are making an amazing comeback in 2018. Gradients are vibrant and loud. it makes less interesting photos look amazing. These days people embrace visual content more than text content. An animation is a great tool for portraying a new product and brand storytelling. It entices visitors to look forward to you and initiates meaningful conversations with them. Typography is a powerful visual tool. It is capable of taming unicorns and crossing oceans(just kidding). Typography fonts are fun and energetic. They put life into a dead design. Whatever your brand identity is, typographic fonts sets the mood right. Because of the surge in device resolutions, we can see a considerable increase in the use of custom fonts. Typography aligns with your brand, improves the UX, and keep the reader stick to your website. Asymmetry and mismatched things are in these days. 2018 is witnessing a lot of stereotypes being broken. 2018 is embracing it. Asymmetrical designs are unique, distinctive and sometimes experimental. This makes them favorite of every web designer in 2018. Illustrators are sighted, we’re delighted. They are great and versatile, playful, friendly, and add an element of fun to the website. Illustrations are suited not only to fun and energetic brands but also to those brands which are perceived as serious. Between asymmetric grids, bright colors, integrated animations, 2018 is one of the most fun years in the history of web design. Let’s us wait and see what more 2018 has in its bag. Looking for consultation regarding web design? You always have our back. 2018 is about to begin and we all know how quick web design trends upgrade with each coming year. Every year there are changes in the technology and web design tools due to which the design ideas and components quickly get obsolete. Getting responsive website designed would just not be enough. To stay competitive, it becomes important to keep your website updated as per the latest trends to attract potential customers and ensure consistent growth and revenue in business. Here we have listed out some web design trends which you may have got introduced to in 2017 itself but are going to dominate web design market in 2018 as well and so cannot be ignored. The Illustration is a great way to visualize your unique ideas. Photography has always been preferred in the form of large hero images and attractive background images. These days illustrations are gradually replacing the photographs as they give a unique personality to your website. Illustrations get loaded quicker than the photographs. As per Google’s Mobile-First Algorithm, the websites getting loaded faster would provide better user experience and given high preference when search engine ranking is concerned. Photographs can be edited up to a certain extent only, whereas illustrations can be customized the way you want to. 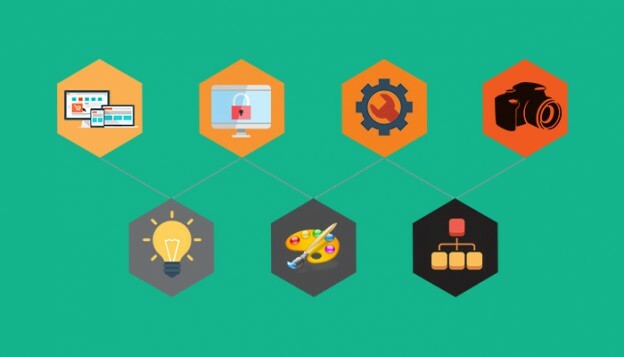 There is lot of scope of explaining even the complex concepts to the website visitors easily through illustrations thus making them highly preferred by website owners, web designers, and digital marketers. Web designers are no more restricted to a particular set of fonts to be used. There are different types of fonts available now one can experiment with and showcase their creativity. Google is now offering a wide collection of fonts which are free to use. In many instances, the creative typography has started replacing the images even. Similar to illustrations, the text also gets loaded faster and thus improves your entire website loading speed resulting in reduced bounce rate. As per DoubleClick Study, 53% of visitors leave the website if it takes more than 3 seconds to load. If you want your websites to generate maximum revenue, you need to ensure that all the elements on the web pages are light weight and get loaded faster. This doesn’t mean that you should design boring websites missing attractive elements just to increase the speed. All you need to ensure is that the elements whether photos or videos you embed on your website should be placed for the improvement of user experience and not for mere showoff. These days, the card-based layout is highly popular as most of the people visit websites using their mobile devices. Tile theme is also another geometrical layout which is gaining high popularity. You must have visited Pinterest and knowing the comfort it provides to the browsers. Similar to that, if your website represents the content in the card-based or tile-based layout it would give any easy access to the visitors. The websites with familiar geometric layout are likely to achieve increased session time per user and decrease the bounce rate which ultimately leads to the higher conversion rate. A few years back, the websites with light and pastel colors were considered to be professional. On the contrary, these days the website designers are using bright and glowing colors and gradients to attract the visitors and keep them engaged. However, you need to consider your buyers’ persona before selecting the colors for your website. Not everyone would like to read websites with bright colors. It all depends on the type of audience you are catering to. 2017 has seen many hacking and ransomware issues which require being avoided this year. In 2018, we need to be cautious about these issues and improve security features on our website in order to make web pages safer to browse and download. Placing an element on the web page which tells you about your visitors is highly used these days as it provides instant feedback of the website user. For example, you can ask your visitor to click on the ratings they want to give to your website and obtain instant feedback from them. This feedback can be highly useful while analyzing your conversions and finding a room for improvement in future. Design trends become popular for providing convenience and solve a problem users may be facing at present. How long these web design trends of 2018 are going to stay or not for a long time can be determined by the benefits they provide to the website users. Now, when you know the latest web design trends for the upcoming year, you can very well update your website and achieve your business goals. But, not all latest web design trends may suit your type of business. Don’t just choose a web design trend because everyone else is doing it. Consider your buyers’ persona and business goals, before executing a new web design trend to your website.